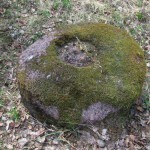 Short description: The Devil Stone of Ubogova (Čorta kameņs). 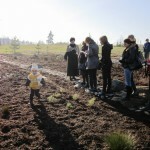 The cult place is situated in the Southern side of the village Ubogova 30m to the N NW from the cemetery of the village. According to the legend, there are ghosts so you shouldn’t walk there alone because they can trap you in the woods. The boulder is about 1.6 m high. The surface is smooth, without any cuts. 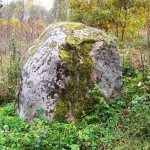 Short description: The Devil Boulder of Trūpi. You will notice the boulder on the left side of Rīga-Rēzekne road 800 m to the northwest from the bridge of Lake Malta and 1600 m to the South from castle mound of Piziči. The local people tell that the lightening divided the boulder into three parts. 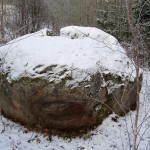 The boulder is an archaeological monument- cult place. Short description: The stone reminding the horse foot is located not far from the stone called Velna pēdas( devil’s foot- eng). It reminds the print of horse foot. 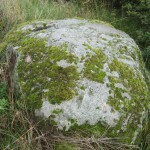 Short description: Zīleņu Sacrificial Boulder. You will find it on Zelenpole Golden hill beside the escarpment. The boulder has an annular curvy. It was an ancient Latgalian cult place where people sacrificed to Gods, released themselves from the bad things and took a positive energy. 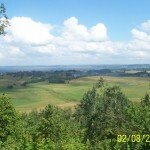 Short description:Mākoņkalns ( Cloud Hill), also called Padebešu kalns,is located near Lake Rāzna (249 m above the sea level). In 1252, on the top of the mountain the Livonian Order built one of the first fortifications in Latgale: the castle of Volkenbergs. At present one can see only the parts of the protecting wall. There is a picturesque view to Lake Rāzna.